A pull in both directions between the physical reality of place and the metaphysics of space. This pull will build up a tension within the poem giving a view of the poem from both the interior and the exterior. 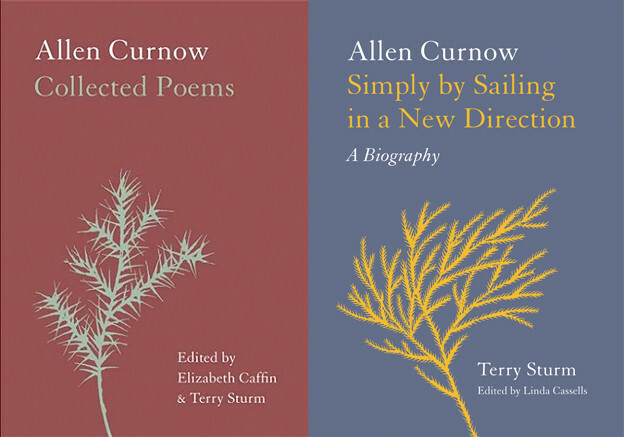 Ideally a poem will be both mysterious (incunabula, driftwood of the unconscious), and organic (secular) at the same time. If the tension becomes irregular, like a heartbeat, then a series of questions enters the poem. What is happening? What does the poem, itself, consider to be its probabilities? 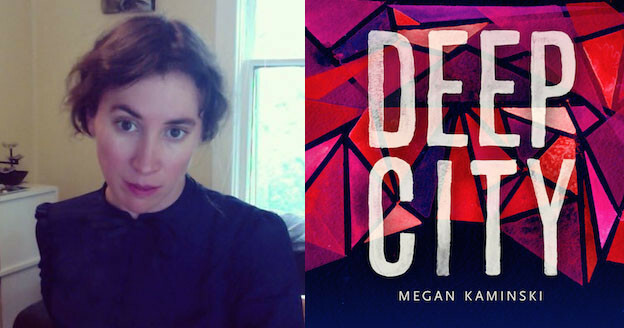 One way Deep City achieves Kaminski’s goal of “build[ing] worlds and creat[ing] space for the reader to embody” is through its arrangement as three long sequences — “The Cities,” “Apocrypha,” and “Collection”— within which mini sequences and individual poems sometimes emerge. Expanding upon the hybridized structures of late modernist long poems such as George Oppen’s Of Being Numerous and Guest’s The Countess of Minneapolis, Kaminski creates a form that engages with questions of temporality, unfolding as it does over the time it takes to read a sequence in its entirety, while also focusing on the momentary nature of the short lyric. As Kaminski recently noted in an interview with Tony Trigilio on his poetry podcast, Radio Free Albion, the structure of Deep City was mapped out in early stages of the book’s composition. But rather than feeling forced, the collection functions as a series of sketched concentric circles or playful nesting dolls. Imploring the personage of the “cabbie,” both purveyor and transgressor of “comfort,” to “drive faster / ruefully abide [his] own speaking space,” the speaker begins by considering what it means to embody the shared social space of the city. Experiencing the city’s arteries (its “avenue[s]” and “districts”), commerce (“flower shops mechanics pantries”), and color (“orange green silver”), the speaker is separated from the cabbie, and perhaps from us as interlocutors, albeit by mere “plexiglass.” However, by journey’s end, jarring verbs “split” and “vivisect” soften into “glow” and “pass.” In a kind of reimagined futurist moment, the interior and exterior physical realities — of gendered personhood and economic “mechanics” — have opened onto the mysteriously beautiful and unquantifiable glow of color the city emits. As the first sequence progresses, descriptions and destinations accrue further layers of meaning and mystery, rendering what philosopher Gilbert Ryle and later anthropologist Clifford Geertz referred to as “thick description.” Envisioned variously as a body (“dear city I want to crawl inside your chest” ), a garment (“I put on my city” ), and a burden (“debt ridden deep city” / “mortgage-backed shoulder carry” ), the city unfolds organically, so that the more each facet is described, the more numerous and layered Kaminski’s multitudinous city/ies become. Ending in both the specificity of Memphis and the public plural address of “we,” the section would seem to edge closer to us as readers. However, as the final phrase, “wooed by architecture wooed by other things,” suggests, like the acquisitive “Ladies,” we are compelled to continue searching indefinitely for pleasure beyond this frame. Kaminski’s use of the sidebar, consisting of one or two words per line to the left of the more traditional stanza, further highlights the very idea of poem as (im)mutable frame. Here, for instance, the talismanic “blue glass,” associated with protection from evil across folk traditions, is held up as if to neutralize the static motion of “mid-week mid-morning.” Similarly, the repetition of “green,” at poem’s end, lifts us out of the chaotic holding pattern (“disarray delayed flights”) of contemporary life. Ultimately, this section, as well as others like it across Collection, enacts collecting as both avaricious acquisition and an attempt at protection. A kind of trickster character, the persona here doesn’t escape commodity culture, in which the object of pleasure has been assigned a price, as much as she transgresses it, even if only for a brief moment. By sliding across the white space of a line and “winking at her reflection,” she interrupts our quietism, spontaneously conjuring a street party scene. To return to Guest, Kaminski builds up a tension within the poem — between the embodied physical space of the dancer and the spirit in the air of a spontaneous communal celebration. She thereby offers us a view of the poem, and of the city, from both the interior and the exterior: a view that finally transcends dimensions. And it is in this space that a series of questions arises, endlessly (re)animating the city and us. 1. Barbara Guest, “A Reason for Poetics,” in Forces of Imagination: Writing on Writing, ed. Michael Cuddihy (Berkeley: Kelsey St. Press, 2003), 20–23. 2. Guest, “Wounded Joy,” in Forces of Imagination, 100–04. 3. Megan Kaminski, “Mapping: Notes on a poetic practice” (lecture, Naropa University, Boulder, CO, September 10, 2013). 5. See Clifford Geertz, “Thick Description: Toward an Interpretative Theory of Culture,” in The Interpretation of Cultures (New York: Basic Books, 1973). 6. 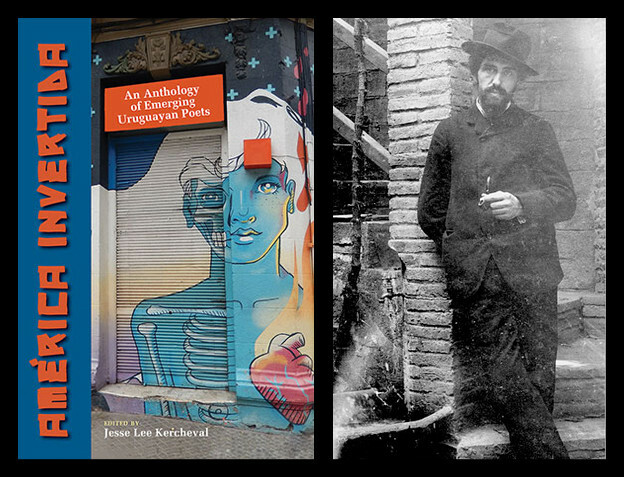 Kaminski discusses these meanings of collection — as “collection agency” and “efforts to protect ourselves from the world” — in the podcast with Trigilio.